Is Deer Park Tavern Haunted? There has been a drinking establishment were Deer park tavern now stands since 1747, as it was built on the ground were the St Patrick's inn stood before it burnt down. Construction on the tavern began in 1851 and the building operated as somewhere for travelers to sleep and drink, as well as having a couple of other unsavory uses such as a place were slaves were bought and sold and it also became a brothel for a few years. 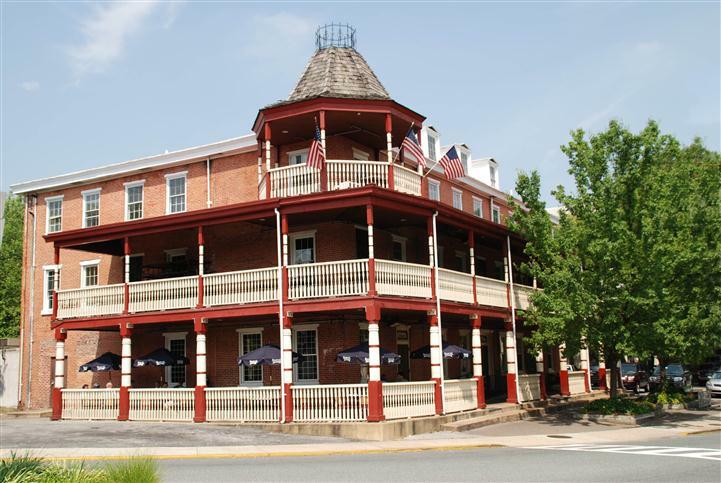 The area has certainly seen its share of famous visitors, such as George Washington and Edgar Allan Poe who stayed at the St Patrick's inn before it was burnt down. During the mid 20th century it was converted from a tavern and moved into possession of the university of Delaware which it remains as part of the campus grounds to this day. One of the things that students seem to love to do is take a place that seems a little spooky and come out with an avalanche of ghost stories about it, especially if that building happens to be on campus and gets visited by students all the time. But this is one such building were made up tales are certainly not needed to make the visitors here feel freaked out. The most common occurrence of paranormal activity here is that of what can only be described as poltergeist like happenings. The staff have reported on many occasions the bar stools dragging themselves across the floor and falling over on their own. Items behind the bar get rearranged when no one is there to relocate them. Who or what is haunting the building seems to forever remain a mystery, but one things for sure, they want to be noticed. some of the most commonly heard theories about who could be haunting the building are that of an outlaw who was gunned down in the street right outside the front of the building. Another thought to who is doing the haunting is that of an old lady who was a common guest at the tavern and died from natural causes in one of the upper rooms, who she was though seems to forever remain a mystery. Most activity happens in the bar area of the building and seems to be that of objects being moved or knocked over on their own. The only other reports of ghostly activity here are on the top floor landing, were guests have reported hearing footsteps walking across the landing to their doors, only to fall silent when reaching it.